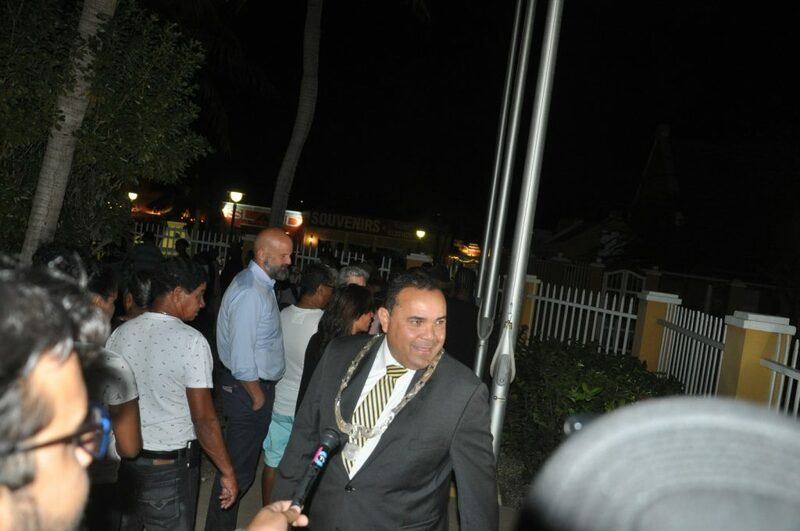 Kralendijk- In what has turned out to be one of the island’s longest election nights, MPB has managed to win the elections for the local parliament. However, the party of leader Elvis Tjin-Asjoe failed to secure the desired absolute majority of 5 seats in the Island Council. Around 5 AM this morning it became clear that the MPB secured a total of 4 seats (+1), the Democratic Party 3 seats (equal to previous election) and the UPB 2 seats (-1). In a certain way, when it comes to the number of seats, the Democratic Party can be considered the biggest winner of the night. Although the party had also won 3 seats in the 2015 elections, a split with Robbie Beukenboom and Maruga Janga had left party leader Clark Abraham with just 1 remaining seat. That has now been reversed. The PDB is back again to their original 3 seats while the FSP, formed by Beukenboom and Janga, did not achieve any seat in last night’s election. Many people expected the UPB, which was also plagued by much internal instability, to loose even more seats than they did in the end. When it comes to the number of actual votes, de MPB did turn out much bigger than the red and green party. Due to the way the votes of parties which do not win a seat are divided over the ones who do, the difference in number of seats has not shifted much in comparison to the 2015 elections (3-3-3). The outcome makes another Coalition government necessary, as a majority of 5 (out of 9) seats in the Island Council is needed to appoint an Executive Council.